I am a UX / UI / Web / Mobile application developer and graphic designer. 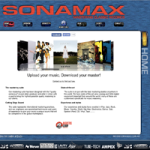 With a history of developing interactive media since 1997. There have been an incredible number of projects that I have been involved with, mostly in the position of technical developer & lead programmer that often included the technical planning stages and UI/UX design briefings. 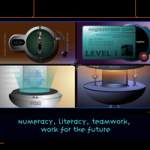 During the early years projects were mostly Director/Flash based highly interactive animations that were delivered on CD-ROM together with educational text books and in the more recent years, with the advent of mobile technologies, there has been a higher concentration of html based e-learning modules and animations targeting delivery to the modern touch and small-screen devices. Below is a very brief extract of some recent projects and a couple of older ones that I enjoyed working on. 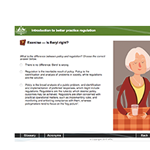 Consulting and creation of an e-learning module for the Australian Public Service Commission. The first step in the APS program Introduction to better practice regulation. This is a complete company branding and website development, including logos, t-shirt & cycling jersey design. 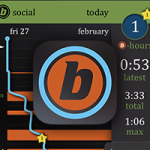 A small status bar utility app that auto-uploads Garmin® (or similar) device activity files to the STRAVA® logging website. 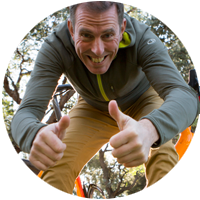 Stravup uses the STRAVA® Rest API to communicate with the user’s profile, and then uploads new activity files when they do not yet appear on the user’s STRAVA® profile page. a social game app that helps people use their phones less, with complete umbrella company setup and marketing. 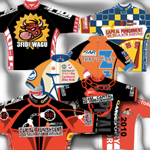 Being a cyclist myself, I have a passion for bold designs cycling clothing. 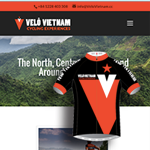 Creating clothing for small friend groups, clubs and larger event organisers, including: 3fidi, VeloVietnam, Capital-Punishment, Angry-Doctor, 3V-Racing and more. I also manage the manufacturing via direct contacts in China, where they already have many years of experience using the absolute latest technology and Italian inks with very low minimums. 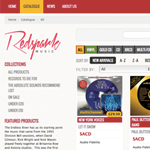 Having maintained the original ageing Redspark Music ecommerce site, it became important to improve security and in the process update the complete website. We chose to use the Shopify system and to ensure the security and increase the sales meant a complete re-design both visually and technically, pushing the Shopify ecommerce framework to it’s limits with the use of custom product meta data and project specific product management pages. I also integrated the MailChimp email marketing tools and used the Stripe payment gateway. 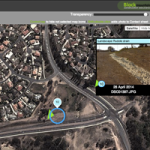 a framework to upload and display photos mapped to an online map system with full GPS location and description information, used to manage construction assurance. The client, Black mountain CA, came up with a great idea of using their GPS equipped cameras to take photos of managed construction sites for their clients, and being able to view those photos online in relation to their map location. 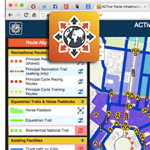 This project was great as it leveraged the APIs of online mapping systems and I developed a complete administration side and display side for the mapping tool. 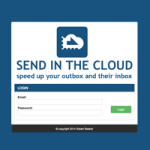 a private & secure cloud based file sharing website and framework. 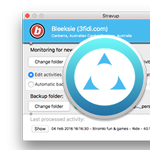 With intelligent file management, password access and time driven shared file access & removal. a client maintainable website, complete with members areas and administration of invoices and bookings. 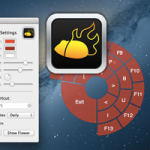 Hot Mouse Flower is an Apple OS X 10.7+ customizable virtual keyboard utility. The virtual key panel, the Flower, is triggered with a custom shortcut key and will appear in front of all application windows. The virtual key panel is arranged in a flower pattern centered on the current cursor position, for quick access to any of the keys. an unofficial “OneHD Australia” television guide iPhone app. This simple interactive program guide for the Australian Sports channel started to build a great following until they released the official OneHD app and I was asked to remove the app from the app store. It was a great step into the full iPhone app development process and Objective-C programming environment, as well as opening up a whole new world of user interface design & development that has become a great part of my current knowledge base. 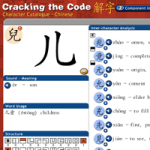 this project is Web delivered and is a very comprehensive look at the build-up of Chinese and Japanese characters, including the ability to search for English words, number of strokes, character type. Also showing animated sequences to explain the components that make up complex characters. an award winning project developed as a fully interactive online world to educate student about the real world awaiting them. The student would take on an avatar and roam the virtual world of BraveCity, playing educational games on the way. developed as a CD-ROM, teaching “Visual Flight Rule” pilots to recognise changes in weather conditions and to be better prepared for diversion options during flight. 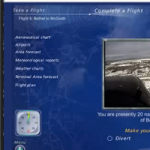 This project uses many videos of actual flight scenarios. Used for teaching pilots both in the USA and Australia. Copyright © 2016 Robert Bleeker. All Rights Reserved. The Ward Pro Theme by bavotasan.com.